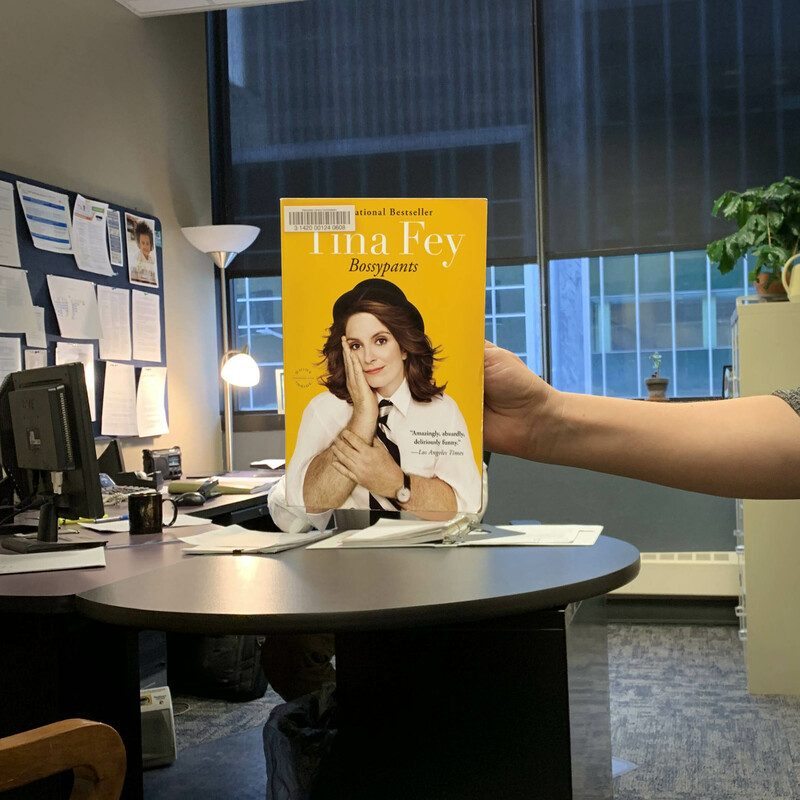 Full of belly laughs and her real life stories,” Bossypants” by Tina Fey, is the perfect choice for your next read. I actually did laugh out loud while reading this book. I started skimming it for this blog post and ended up not being able to put it down. This collection of essays is a part of our NLC Book Club Kit collection. Reserve it for your book club today! Today’s #BookFace model is NLC’s Business Manager, Jerry Breazile! Even though he had vowed never to wear a tie to work again, we appreciate him bending to our bookface will just this once.